The history of Elmbridge reaches back more than a thousand years to Saxon times. The word “Hundred” was a Saxon word for an administrative unit, though what exactly it covered is still debated among historians. An area of land enclosing enough households able to provide one hundred men under arms is perhaps the most likely of the theories. ‘Amelebrige’ featured in the Domesday Book in 1086; the latest twist in its history came in 1974 during the reorganisation of local government with the establishment of the Borough of Elmbridge. Much has been written about the history of Elmbridge, its cultural heritage and its famous residents. But as part of Surrey, England’s most wooded county, Elmbridge also has to offer many visual delights to discerning visitors and residents. 'The Elmbridge Hundred - A Visual Journey' shows 100 photographs depicting many aspects of Elmbridge life and countryside. From Black Pond on the Esher Commons to Concorde at Brooklands, from swans at Cowey Sale to the bluebell carpet at Painshill, from the Landscape Garden at Claremont to sunrise in Molesey’s Hurst Park the viewer can discover the beauty and variety of the land in Elmbridge. Among the one hundred photographs are the ten winning entries of a photographic competition held for students of Elmbridge schools. 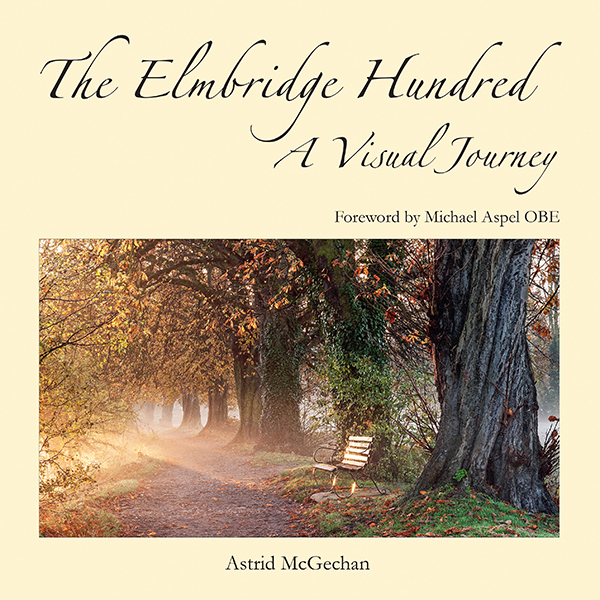 The book complements the 'Elmbridge Hundred’ community project that brought together schools, museums, resident societies and charities in the quest to learn about, preserve for future generations and publicise the history and heritage of Elmbridge. Mundays LLP are delighted to sponsor The Elmbridge Hundred - A Visual Journey. We are solicitors in the heart of Elmbridge and have been working with people and businesses in the borough for over five decades. We are proud of our heritage and strive to provide a truly outstanding service in a straightforward and approachable manner. To find out more about us visit www.mundays.co.uk. It has been a privilege to sponsor this local project, which has brought together so many from the local community. Astrid McGechan and the student photographers have captured the beauty of Elmbridge in their stunning selection of photography. Congratulations to them all. I am grateful for the support of 'Light and Land' and 'Landscapes by Women'.